Quick Step Laminated floors are suitable for under floor heating. Make sure that the installation is done by an reputable company. The Quick Step floor range comes in different floor sizes to suite your interior requirements to your liking. Easy floors to clean No dirt can accumulate because of the sealed surfaces. Your Quick Step Laminated floor has undergone a unique permanent antistatic treatment that makes house cleaning easier. You can walk immediately on your Quick Step Laminated floors after installation. 10 year Wet area Warranty Your floor is water surface spill prove I used with spill and click sealing system. The Quick Step laminated floor can be installed in all the areas of your home including bathrooms and kitchens with out the worry of water damage. 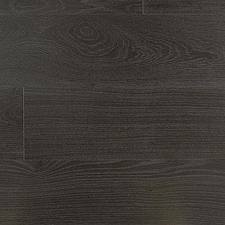 The Quick Step Eligna Laminated floor can be installed in all the areas of your home except were there are high moist conditions. You get a 25 year residential and 5 year commercial warranty on your Quick Step Laminated floor. The Quick Step Perspective Laminated floor can be installed in all the areas of your home except were there are high moist conditions. The Quick Step Lockflor Laminated floor can be installed in all the areas of your home except were there are high moist conditions.